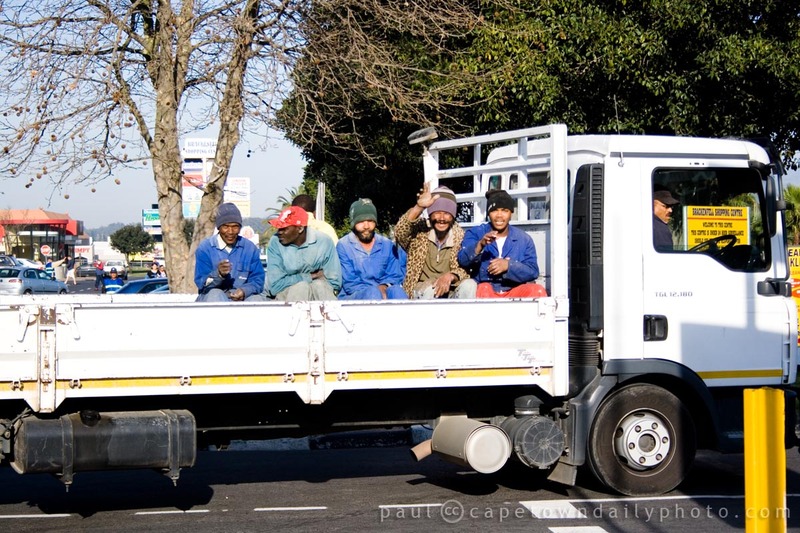 A very common way of transporting employees to work sites is on the back of a bakkie or on a truck like this one. I'm fairly sure that at some stage it became illegal to transport people in this manner - but even with several recent tragedies related to this form of transport it remains common practice. I guess the reality is that for many small businesses it's completely impractical and too expensive to have a bakkie to transport goods and materials to a work site and a minibus to transport the workmen. It's one of those difficult debates to have because I can assure you that if the workmen are faced with a choice to take transport like this, or find their own way to a work site, or lose their job, they'd jump onto the back of this truck in a flash. Posted in General and tagged people, truck on Thursday, 26 August, 2010 by Paul. In yesterday's photo I drew attention to one of many pieces of litter littered about in a nearby field. Today our photo focuses on a different, and possibly more damaging, form of environmental damage. Yes, you have it, fossil fuels. 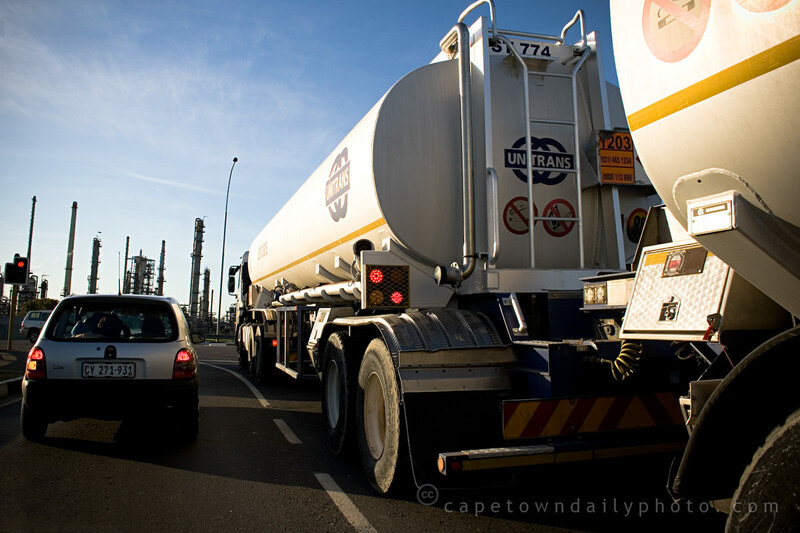 This fuel tanker was headed for the Caltex oil refinery in Milnerton where it was presumably to pick up a consignment of diesel or petrol. What I've always found strange is that for years we've all heard about hydrogen-powered cars and cars powered by water, but it seems as though petrol- and diesel-power still flourishes. For years the world has voiced concern over the environmental impact of fossil fuels, but clean-energy vehicles never seem to take hold. Even vehicles like the Toyota Prius aren't great for the environment... well, at least not the first few iterations (read more here). Perhaps one day it won't be all about the money. Posted in General and tagged car, truck on Monday, 3 August, 2009 by Paul.